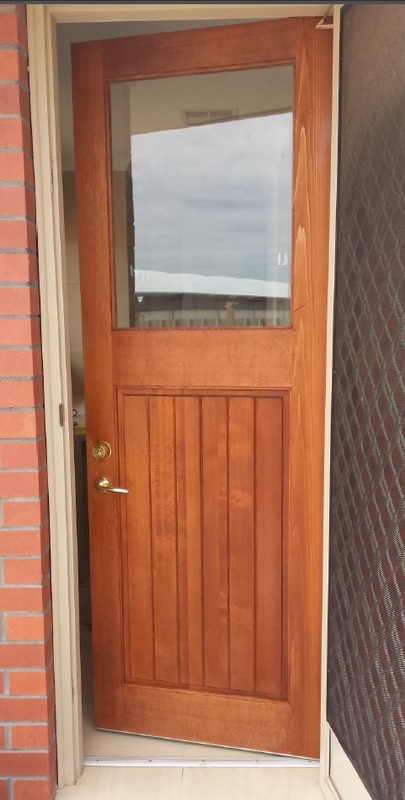 A happy client has taken a photo of one of our doors we have hung. Western Red Cedar Door. Stained and hung by our happy client.